American boxer Floyd Mayweather was born on February 24, 1977, in Grand Rapids, Michigan. 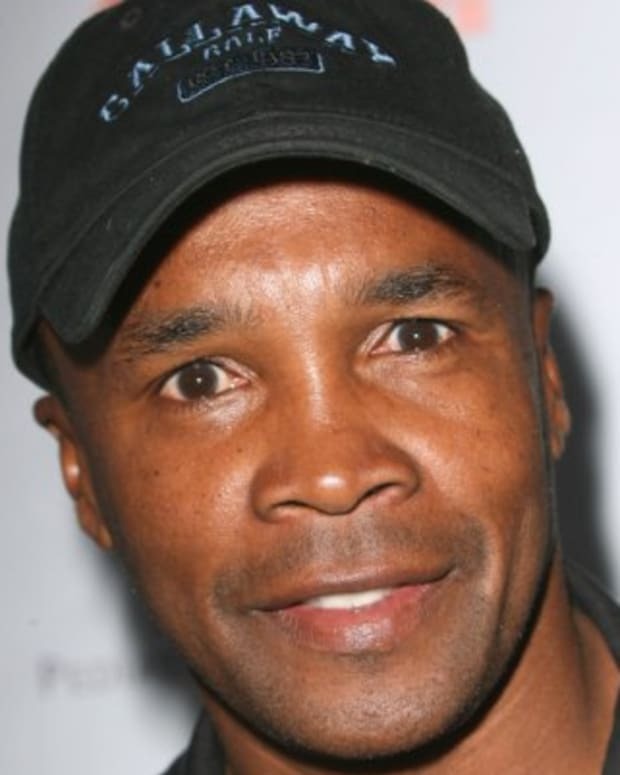 He won three national Golden Gloves and an Olympic bronze medal before turning professional in 1996. Mayweather claimed his first championship as a super featherweight in 1998, later accumulating titles in four other weight classes while retaining an undefeated record. 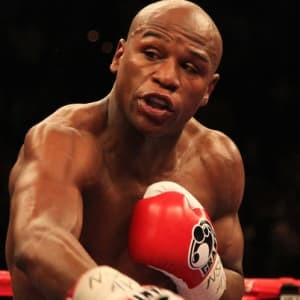 Widely considered the greatest boxer of his era, Floyd Mayweather Jr. was born Floyd Joy Sinclair on February 24, 1977, in Grand Rapids, Michigan. Boxing is in his blood: His father, Floyd Sr., was a welterweight contender, and his uncle Jeff Mayweather is a former IBO super featherweight champion. Another uncle, Roger Mayweather, is a former WBA super featherweight and WBC super lightweight champion. Floyd Sr. introduced Mayweather to the gym not long after he started walking, holding his young boy in front of speed bags whenever they visited. Soon, Mayweather was throwing punches at anything that came in his view. 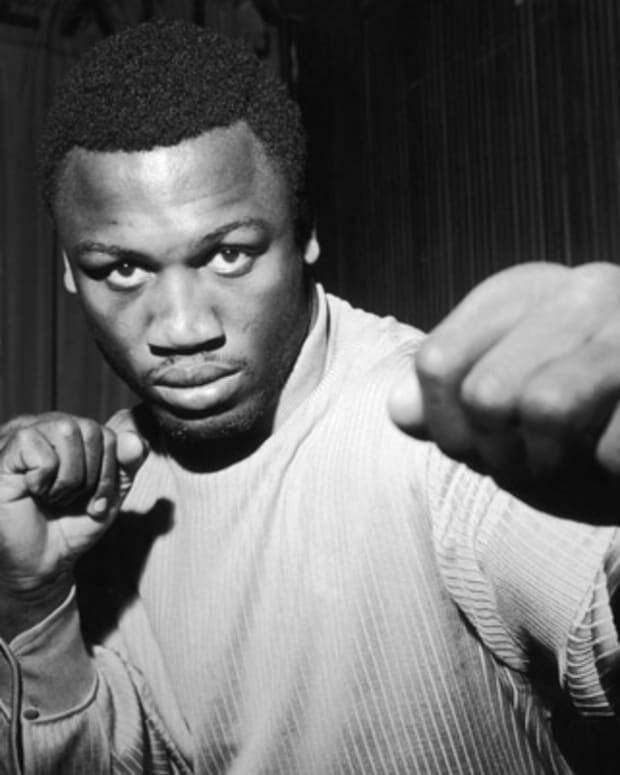 At the age of 7 he was fitted for his first pair of boxing gloves. Little Floyd, as he was known, became a staple at his neighborhood gym, which was conveniently located just five doors down from his family&apos;s home. 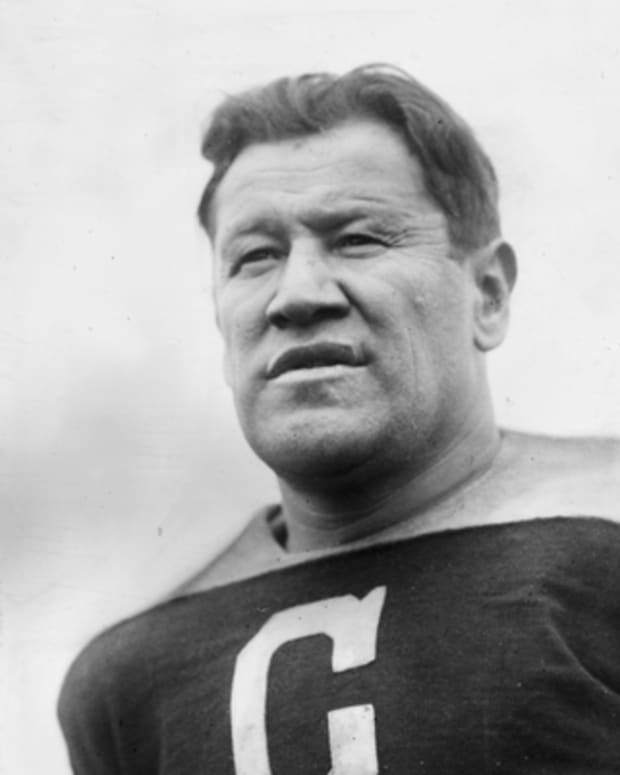 He soon took the last name of his father, indicating a desire to follow in his footsteps to boxing success. His family life was complicated. The elder Mayweather had a violent temper, and drifted in and out of danger as a drug dealer. He was shot in the leg while holding his baby son in 1978, and in 1993 he was sentenced to prison on cocaine trafficking charges. Mayweather&apos;s mother, Deborah, also dealt with substance abuse issues. Away from the circus of his family, Mayweather found peace and control in the ring. 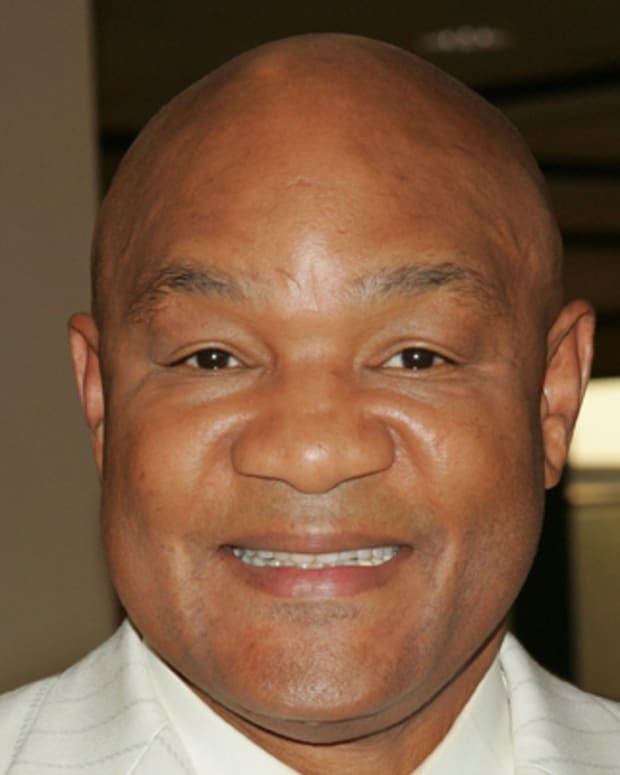 Known as "Pretty Boy" early in his career for his unmarked face, Mayweather, with his fast, precise style, won the national Golden Gloves in 1993, 1994 and 1996. 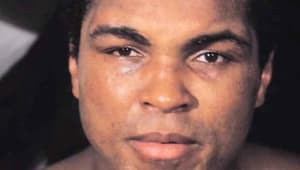 While he finished 84-6 as an amateur, Mayweather&apos;s pre-professional career ended on a bitter note. At the 1996 Olympic Games in Atlanta, he lost a controversial decision to Bulgaria&apos;s Serafim Todorov and was forced to settle for a bronze medal. Mayweather turned professional on October 11, 1996. As a pro, Mayweather continued to win at an astonishing rate. 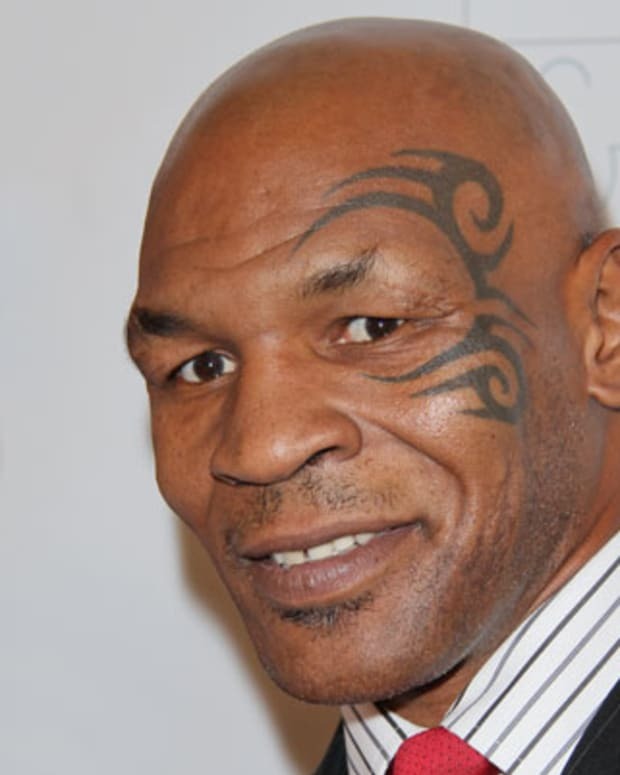 With his father serving as both manager and trainer after his release from prison, the talented boxer won several easy bouts. In 1998, he defeated Genaro Hernandez to capture his first world title, the WBC super featherweight championship. 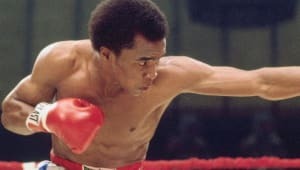 His career greatly accelerated even more beginning in 2000, when Mayweather embarked on a seven-year stretch that had many fight fans talking about him as one of the sport&apos;s all-time greats. His success garnered increased earnings. In 2010 he was the third highest-paid American athlete, with income of more than $60 million for the year. The victories and paychecks only fueled Mayweather’s already sturdy ego. 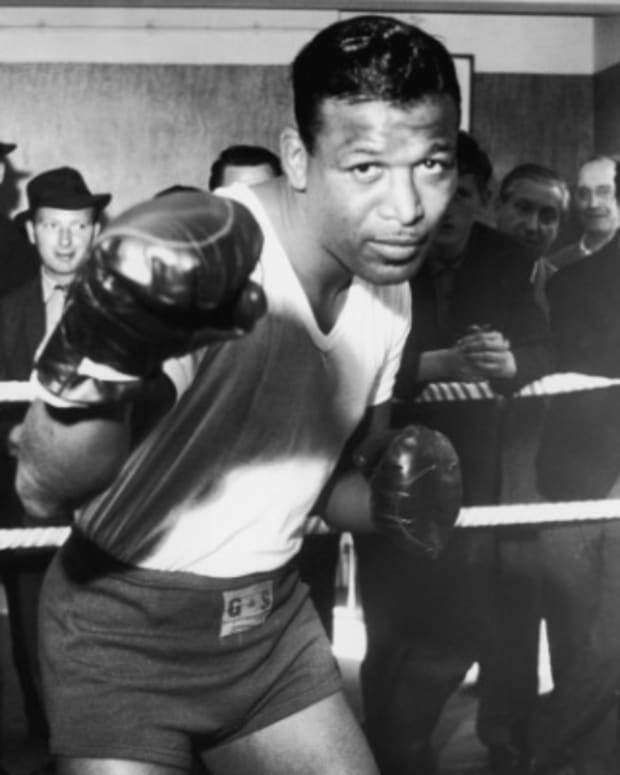 In a sport built on bravado, he proved to be one of boxing&apos;s most polarizing figures. "My goal has always been to be one of the best fighters who ever lived," Mayweather has said. "My career and legacy are very important to me." So is his crossover appeal. As his international profile grew, Mayweather brought his star power to television. In the buildup to his much-anticipated 2007 match with De La Hoya, Mayweather took center stage in the four-part HBO documentary 24/7, which led to new pay-per-view and live-gate records. Later that year he appeared as a contestant on ABC Television&apos;s Dancing with the Stars. Mayweather&apos;s sometimes-overbearing family dynamics have intruded on his work life. In 2000, Mayweather fired his father as manager. Their differences only became more intense, and not long after, Mayweather fired his father as trainer too, and replaced him with his uncle Roger Mayweather. Outside the ring, Mayweather has fought different kinds of battles. 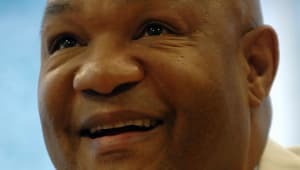 In late December 2011, a Las Vegas judge sentenced him to 90 days in jail after he pleaded guilty to a domestic violence charge and no contest to two harassment charges. Mayweather has been arrested several times since 2002 in battery and violence cases in Las Vegas and in his hometown of Grand Rapids. Mayweather stunned the sports world when he announced his retirement after defeating Ricky Hatton in late 2007. He returned in September 2009 and won a bout against Juan Manuel Marquez by unanimous decision, for a purse of nearly $60 million. Eight months later, he won a 12-round unanimous decision over Shane Mosley in Las Vegas to up his professional record to 41-0. In May 2013, Mayweather made headlines when he won a 12-round bout against Robert Guerrero in a unanimous decision at the MGM Grand Garden Arena in Las Vegas, taking the WBC welterweight title. The fight bumped Mayweather&apos;s record to an undefeated 44-0 (with 26 KOs). 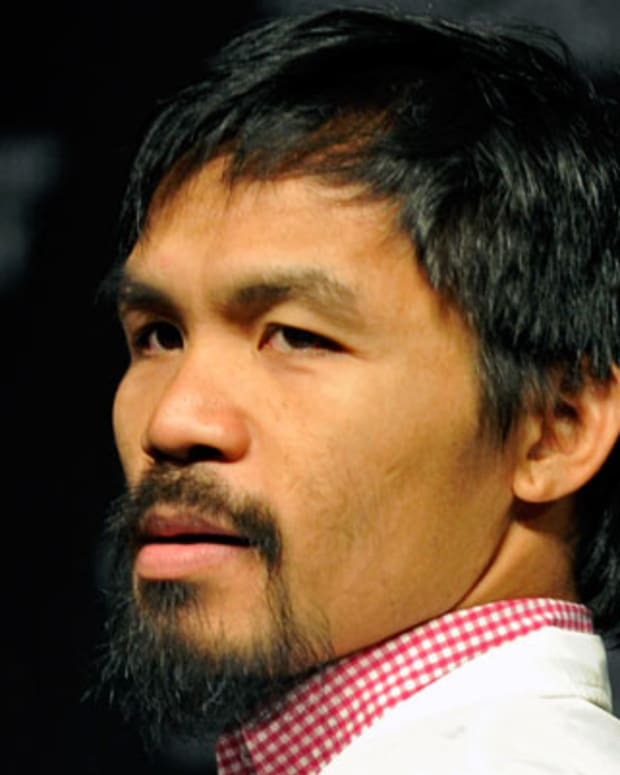 Following three more successful bouts, Mayweather set the boxing world abuzz by agreeing to fight eight-division champion Manny Pacquiao at the MGM Grand Garden Arena on May 2, 2015. Displaying his usual airtight defense in the "Fight of the Century," Mayweather held off his opponent to win a unanimous decision and retain his perfect record. In 2017, Mayweather signed on for bout with brash UFC champion Conor McGregor, who had boxed as an amateur before turning to mixed martial arts. As part of the negotiations, Mayweather agreed to fight with 8 ounce gloves, a compromise between the usual 10 ounce gloves used for standard junior middleweight fights and the 4 ounce mitts of the UFC. Following months of hype, the fight took place on August 26, 2017, at the T-Mobile Arena in Las Vegas. Well past his athletic prime at age 40, Mayweather nevertheless outclassed his younger, stronger and less experienced opponent, pummeling McGregor with a flurry of punches in the 10th round before being declared the winner via TKO. His record up to 50-0, Mayweather announced that he was retiring once again. The father of four children (two sons and two daughters), Mayweather resides in Las Vegas.